Join me for my next Card Fold Class. This class will teach you a new style of card and gives you instructions to take home and use again and again for any occasion you choose. Cost will be $20 and includes all materials to make 3 cards, two large and one small and instructions to take home. Message me to book a space in one of these classes. Find my details on the contact me page. Don’t want to come alone why not bring a friend, sister, Mum or Auntie. Look forward to seeing you. 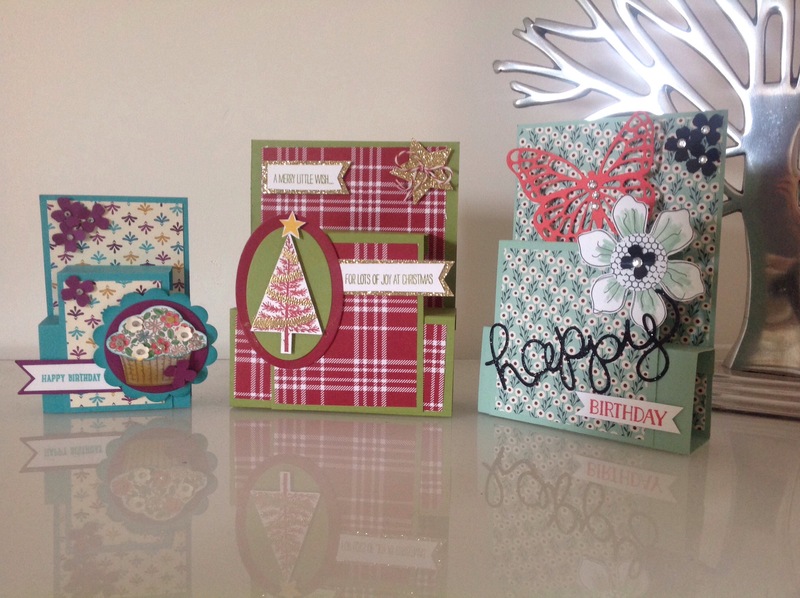 There are still a few places left in the Card Fold Class for Sunday 30th August. Contact me to book your spot. Look forward to another crafty couple of hours sharing this great card style.